​Extreme snowfall can bring a wave of unique challenges to the agriculture industry – from milk trucks being unable to reach farms to feed shipments being delayed on roads and railways. 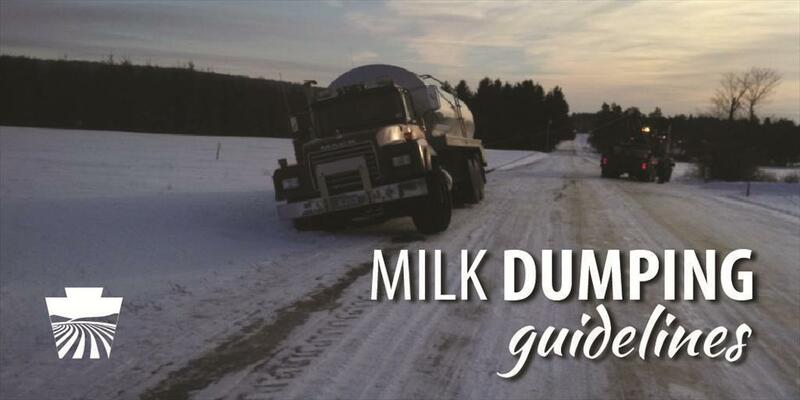 Should the pending winter storm delay the arrival of milk trucks, we want to offer some quick guidance on how milk should be dumped if needed. Contact co-ops and milk haulers in advance of the storm to discuss your storage tank capacity and possible alternate pick-up schedules. Reach out to your township supervisor to alert them to pickup and delivery needs at your farm and receive updates on when roads leading to your farm may be plowed. Make arrangements for snow removal and clearing on your farm, including private farm lanes. Take all necessary steps to prevent milk from entering any waterways. Dump milk into a manure pond or natural depression. Only dump the amount of milk necessary to accommodate the needed milking due to runoff when snow melts. To learn more about disaster preparedness, visit www.readypa.org​.